occupy wall street | Passion in Action! God-ideas to change the marketplace and the world! For many people it is easy to blame capitalism for our current economic environment. The truth is capitalism is not evil and it’s not what caused this economic crisis. What caused this financial mess are the people who immorally and unethically used the free enterprise system for their own benefit without regard for who they would get hurt in the process. So don’t blame the system. Blame those who hijacked the system for their own devious pleasures. Admittedly, capitalism is not a perfect economic system. However, even with all of its flaws, this competitive market system provides many benefits to those in our society. It creates an environment for innovation, productivity, creative expression, price/cost competition, collaborative solutions, and resource multiplication and distribution. Unfortunately, like with most things in our society, people have taken something that can be used for good and used it for their own selfish vices. Misuse and abuse driven by greed has turned what should be used for constructive purposes into something destructive. Moderation is something humans don’t do well without divine intervention. Over-indulgence is something we more easily gravitate towards. Fortunately there is hope for us. I believe capitalism can be redeemed by those with a Biblical worldview and a willingness to do business God’s way. Fulfill your purpose in the marketplace! Your true life does not have to be only a dream, it can be a dream manifested in 3D! Learn how to Discover, Define, and Drive your desires by unleashing the God given muse to help you envision yourself in a B.I.G. way. God designed you for greatness so stop dreaming small. Uncover your legacy. Now is the season for a Bold Innovative God-Inspired Life! You owe it to yourself to see just how far your true dream in life can take you. If you are looking for purpose in your life and life in your purpose, this is the perfect book for you. Get your copy today at www.DreamBIGin3D.com. Subscribe to Passon in Action! 365 God-inspired success tips – in 140 characters or less – to help you maximize your entrepreneurial pursuits spiritually and financially! Get your FREE copy of my recession-proof, eco-friendly, mom-approved e-book "Kingdom Business Keys!" 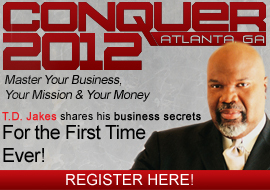 Log on today to www.paulwilsonjr.com! Help fund the fight against unemployment by donating to the The (Un)Employment Alternative. Click here to learn more. Dare to dream again!... What if there was no limit to how far your dreams could take you? B.I.G. Dreams are coming soon to a mind near you! OA Actionwear uses inspirational messages as a reminder to people that they can be exceptional. Being an Over Achiever (“OA”) is not just about doing great things. It’s about doing little things in a great way! Click here to get yours today! Subscribe Me to Passion in Action! © 2005-2011 Paul Wilson, Jr. All rights reserved.